After my involuntary blogbreak and the most hectic weeks maybe all-time, we are now more and more settling in our new home. In the coming weeks I will share with you parts of our new house, but for now I wanted to share with you the interview I had with Lisa Manuels owner of Shop elle aime. I love her illustrations and workshops, I made buttons and did a bookbinding workshop last weekend with tweeps Rivka from rrauw and Nina from Paper stories. Lisa is just the most lovely person and I was very pleased she agreed to answer my questions. Who are you and what it is that you do exactly? 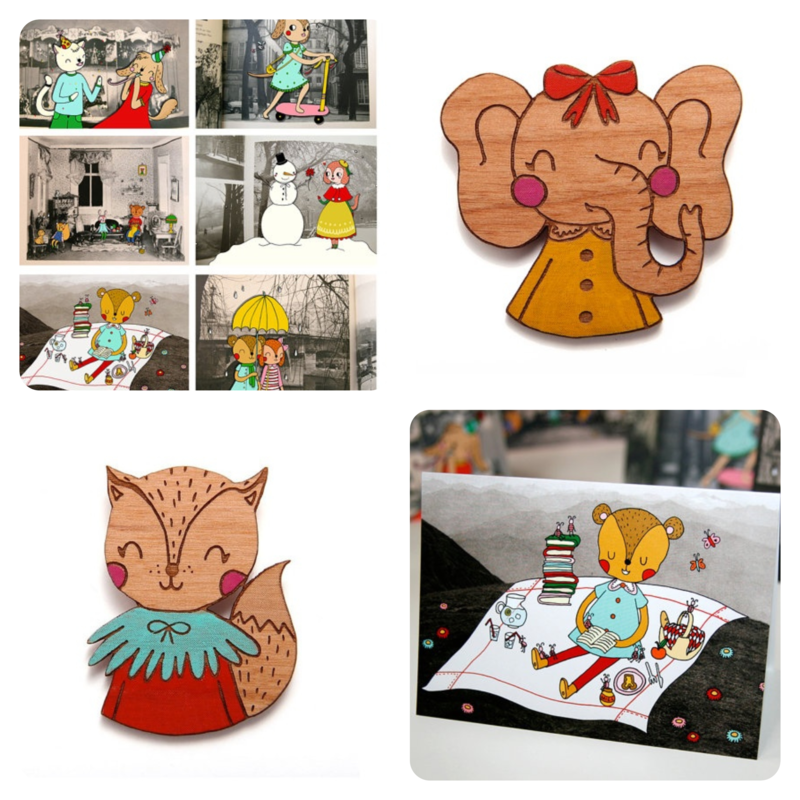 My name is Lisa Manuels and I make illustrations, I create, collect, sell and give workshops! In the north of Rotterdam I own a small shop named Elle aime. There I sell my own illustrations and creations, but also those of other designers and creators from all over the world. I also organise and teach many different creative workshops there. How did you get to be so creative? Probably because it runs in the family a little bit. Actually almost everyone I know is creative, everyone in his or her own way! My mother has been busy creating and crafting all her life, but as a little girl of twelve I never I didn’t see anything in it. Only later I started to appreciate the crafting, now I can’t live without! Since when do you run your shop in Rotabs and what do you sell exactly? My store opened on May 15 2011. I sell everything I think is beautiful, especially handmade gifts and accesoires. 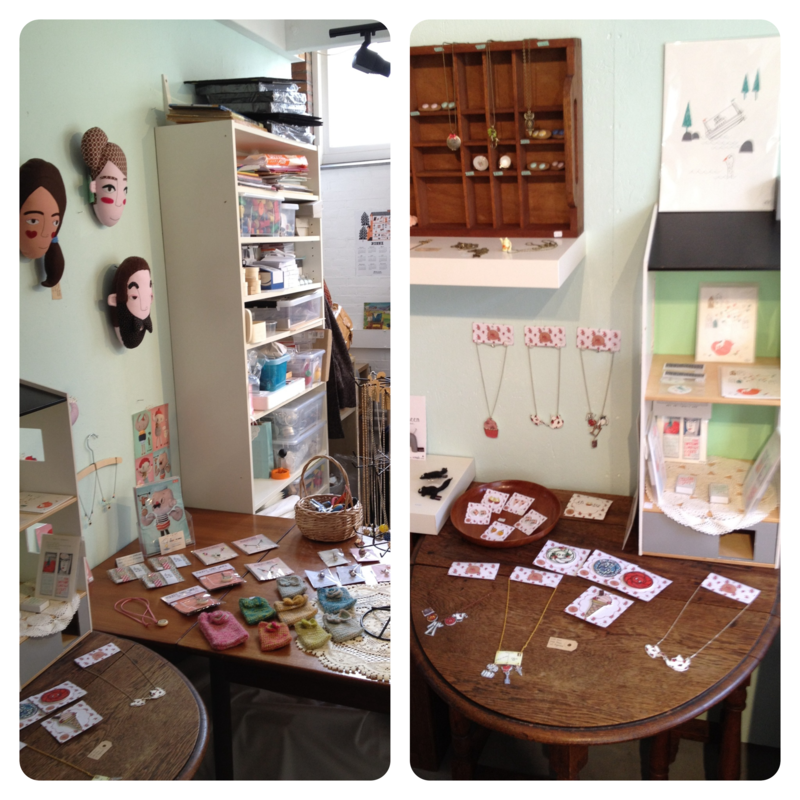 For instance cards by Margo Slingerland, printed things by Miko Design, jewelery by Reintroduced and porcelain by Kim Welling. I also sell masking tape: not handmade, but still really pretty! Which other designers / illustrators do you admire and why? Geertje Aalders; she creates beautiful papercuts! Her work can be found regularly in Flow Magazine, such a great read! Camilla Engman; a designer and illustrator from Sweden, she has such a great personal style. 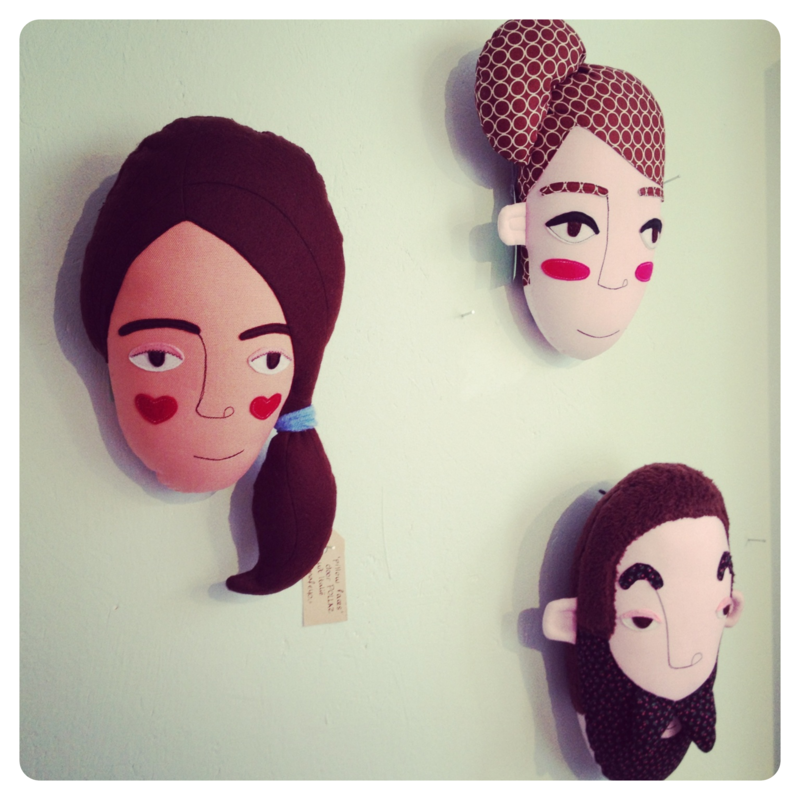 Misako Mimoko or Eva Monleon; I really love her dolls, I also sell her work in my shop! Mark Ryden; I have been in love with his work for years and will be for some time. The Black Apple / Emily Martin; her work really is similar to that of Mark Ryden, but is a lot sweeter. She made two great books, really lovely! Next to these I also love the work by Miko Design, Planet Fur, Margo Slingerland, Audrey Jeanne, Karen Barbe… I could go on and on! Where does the name Shop elle aime come from? My initials are L and M and when pronounced out loud they sound like ‘ elle aime’ . ‘ Elle aime’ means ‘ she loves’ in French which suits my shop perfectly, I only sell things that I love and support! During my search for a name illustrator Laure Manfre (also L.M.!) came up with this name and fortunately I was allowed to use it! In ten years I hope to own a somewhat larger shop / workshop space, a really nice group of creative people surrounding me and a lot of inspiration still! Of course I also hope to live together with my boyfriend Floris and maybe together with some Lisaatjes and/ or Florisjes!